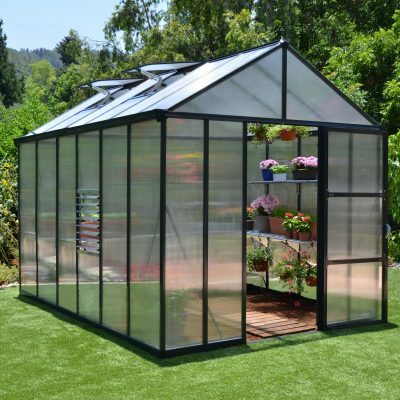 The Glory Greenhouse is the perfect greenhouse for the serious grower. 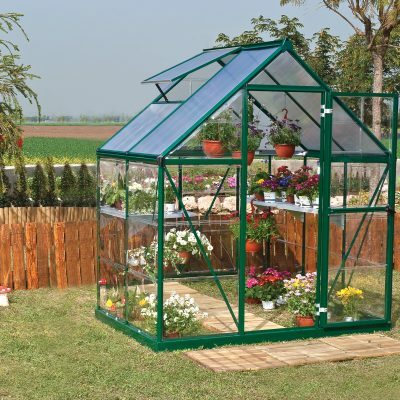 The strength and size allow you to grow your vegetables, herbs and flowers year around. 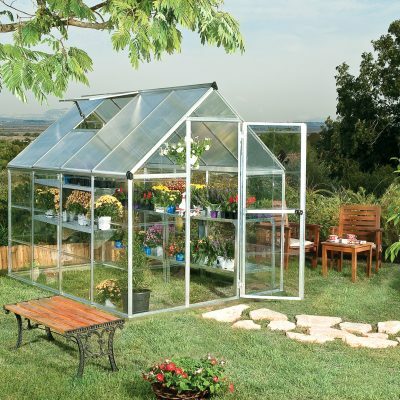 This is a beautiful greenhouse built to last. 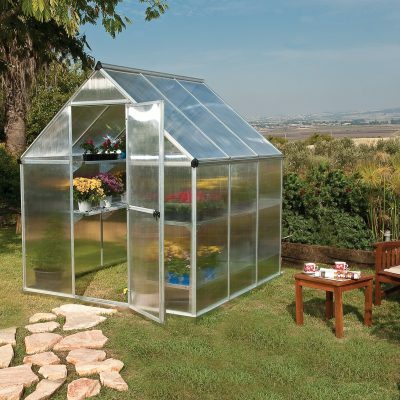 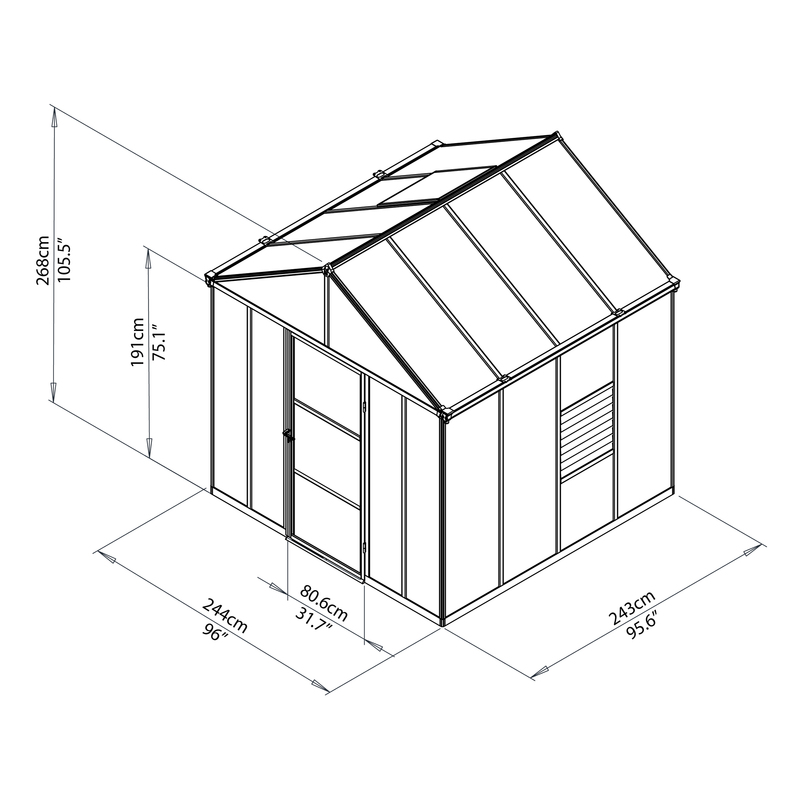 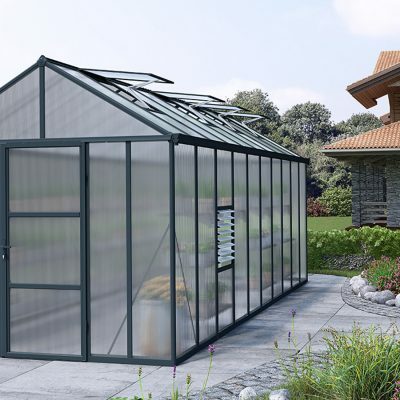 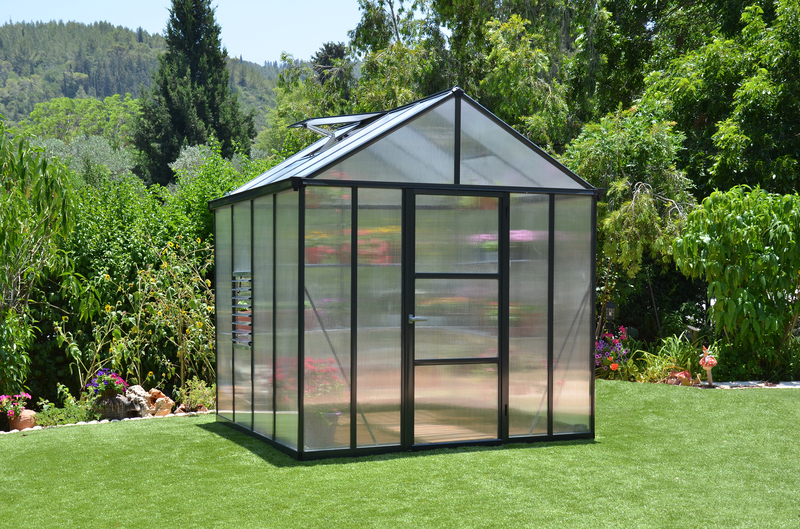 The Glory premium class greenhouse is the right answer for the year around gardening enthusiast. 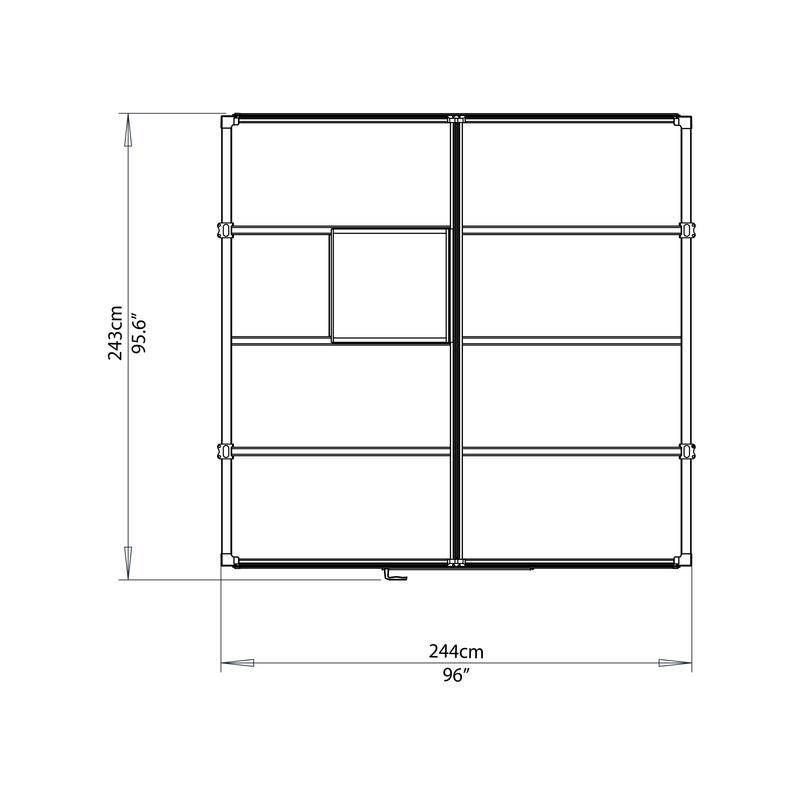 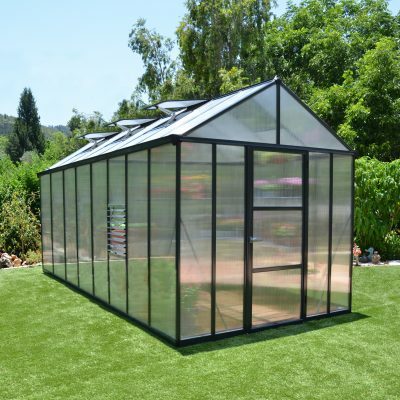 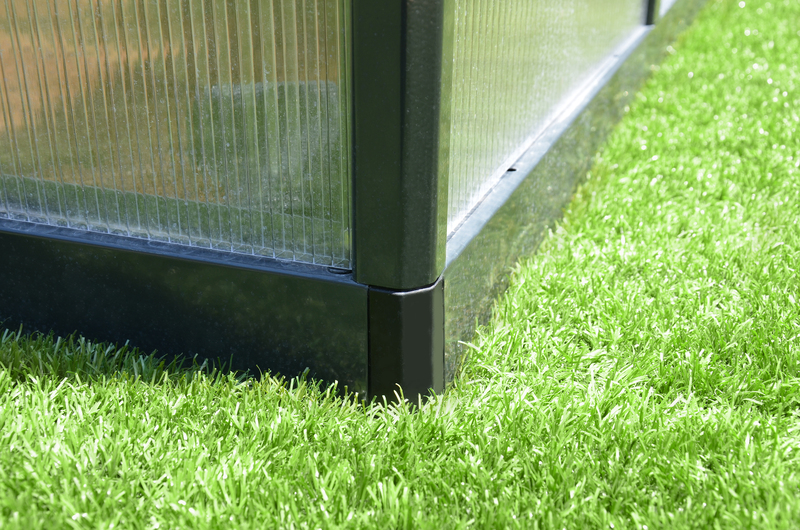 The strong and robust gray powder-coated aluminum frame and 10mm thick polycarbonate panels make this a professinoal grade greenhouse that can be heated and/or cooled for year around usage. 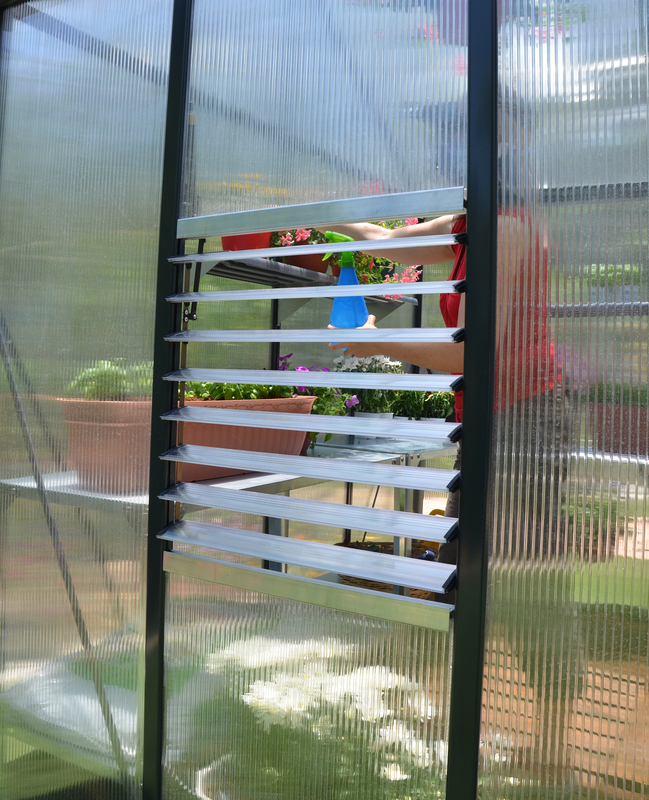 The side louver window and roof vent allow proper air flow for the ideal temperature to keep plants healthy. 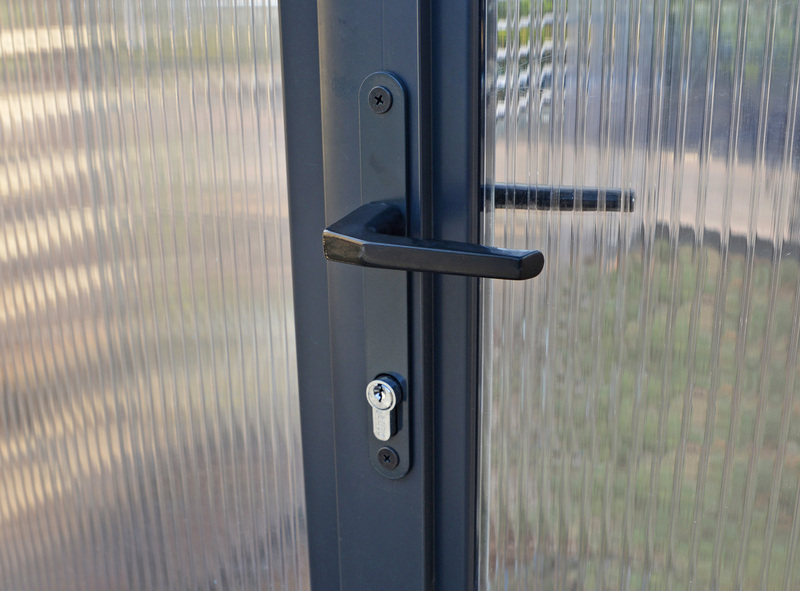 The heavy duty door is over 31 inches wide and can be locked. 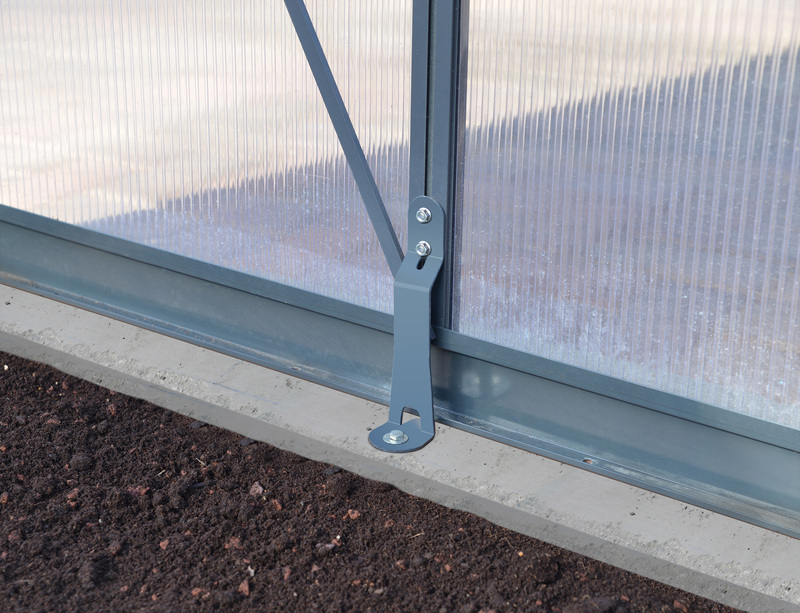 The door threshold alows easy access for wheelchairs or wheel barrows. 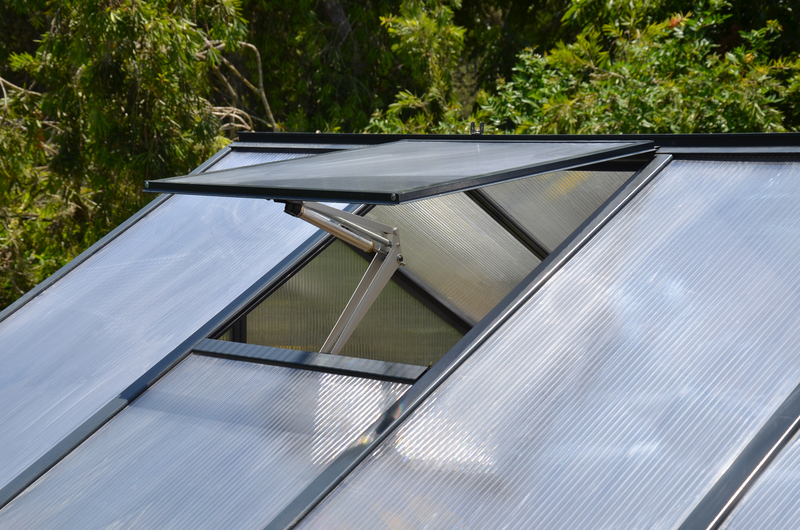 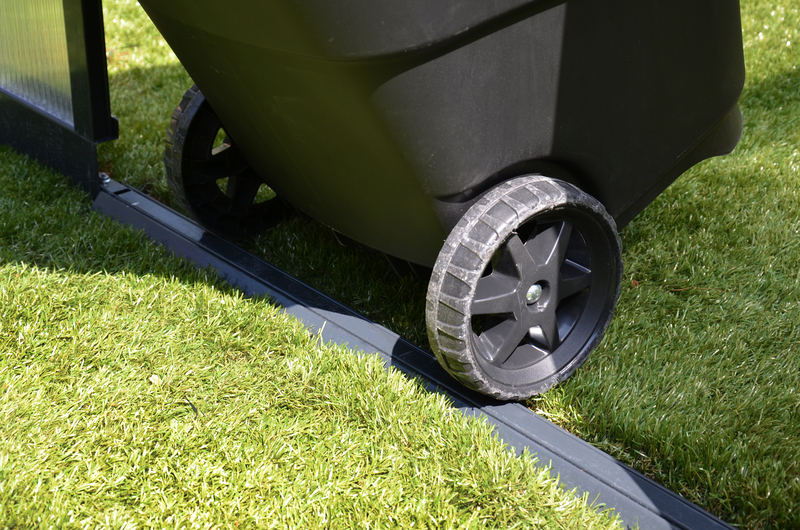 The gutter system will allow you to collect fresh rain water for your plants. 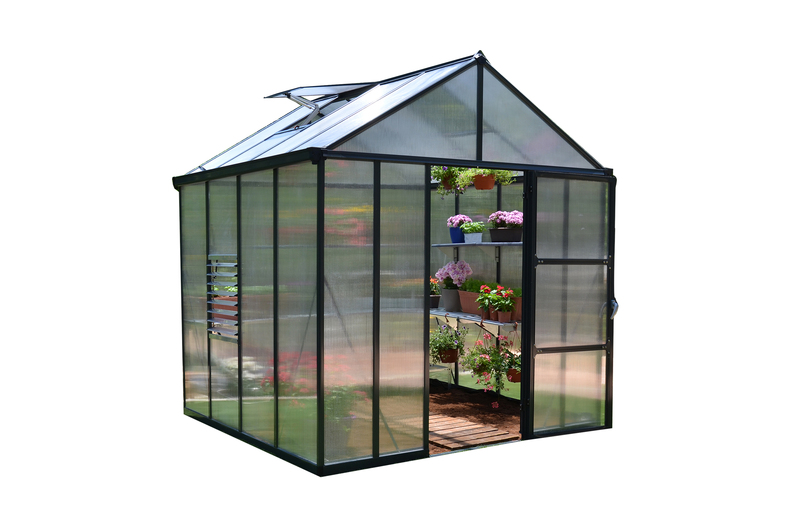 With sidewalls over 6′ tall and a peak of almost 9′ you can trellis your tall and leafy plants or over-winter your small trees. 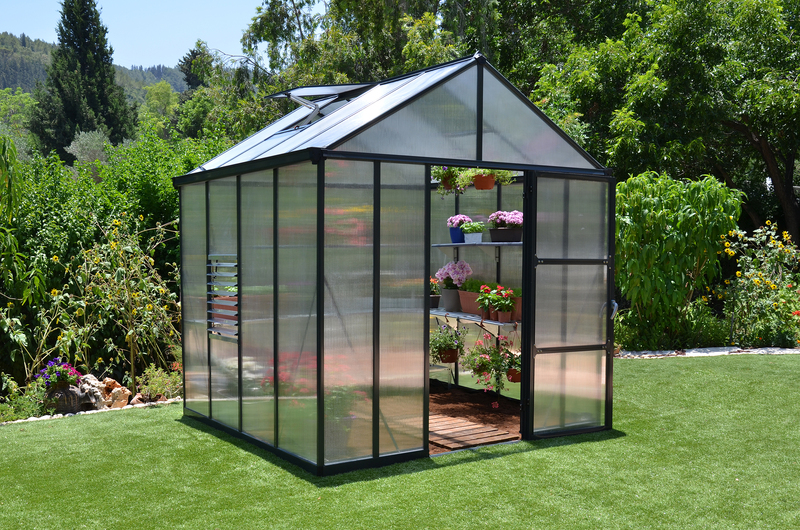 If you are serious about growing, this is your greenhouse. 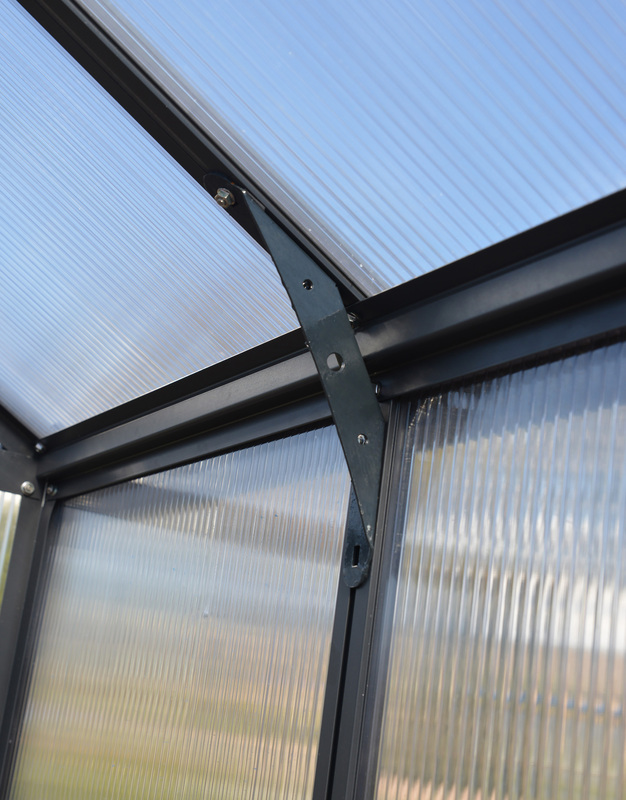 Includes a roof vent with automatic vent opener, side louver window, plant hangers, integrated rain gutters, threshold ramp, galvanized steel base and ground anchoring system. 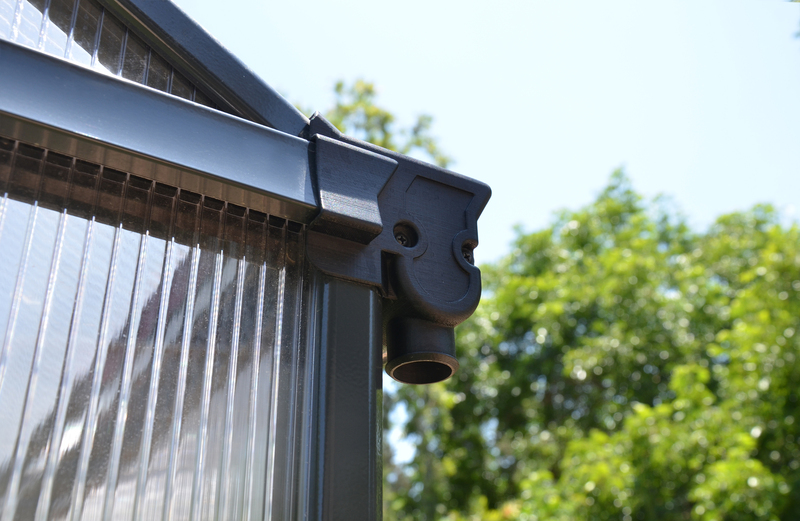 Adjustable roof vent with automatic vent opener, Side louver window, Plant hangers, Rain gutters, Lockable door with mechanical catch, Threshold ramp, Galvanized steel base, Ground anchoring system.